ARCA, Inc. | ARCA Inc. Serving utility companies throughout the United States and Canada, ARCA’s turnkey appliance recycling programs and replacement programs provide a seamless implementation and responsive customer service. Appliances are disposed of properly to ensure older units are not returned to the grid. Committed to energy efficiency, ARCA has been the pioneer in appliance recycling programs. Through partnerships with Energy Star®, the Responsible Appliance Disposal (RAD) program and industry affiliations, ARCA has helped promote and advance energy conservation programs and technology. 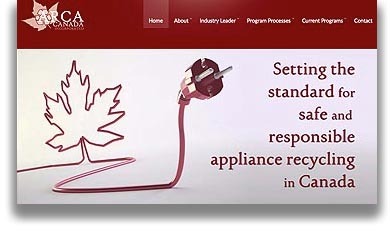 Interested in an appliance recycling or replacement program? Email our sales team, or call 952-930-9000. 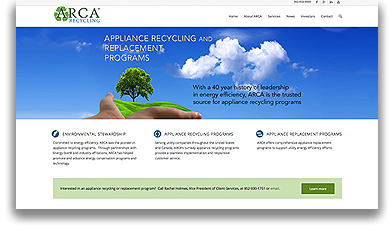 If you’re an individual looking to recycle your appliance please click here to view ARCA’s active programs by state.